As the ice of winter starts to melt away, and the green shoots begin to penetrate the soil, it’s time for Spring, one of the most exciting bushcrafting seasons of the year. Bushcraft teaches us outdoor living skills and provides a sustainable way of life, more in-line with nature and how we used to live. Today, bushcraft is mostly practiced as a hobby. But there is one side of this fascinating subject that can be enjoyed by all – wild food! There are many wild foods in our countryside and all are free. We often walk around the countryside blind to the fact that there are many edible wild fruits, nuts, flowers and fungi which, in the past, would have played a vital role in our daily diets, and it’s this area of bushcraft that I most enjoy teaching people. There was a time when primroses (Primula vulgaris) were widely used as a springtime snack, but these days they are quite rare and should be left for insects to enjoy. 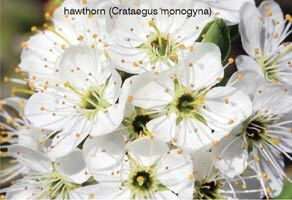 The month of May sees hawthorn (Crataegus monogyna) burst into bloom. Their white petals have a fresh taste and go very well with salads, as do the leaves. The petals can also be used as cake decorations. 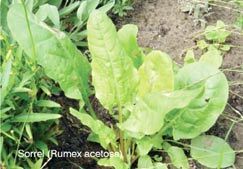 Sorrel (Rumex acetosa) is one of the wild greens that can be found as early as January. The arrow-shaped leaves have a sharp taste, rather like grape skins. This is the very first wild food that my granddad taught me about when I was four years old. Ever since then I have been collecting wild sorrel – it’s one of my favourites. If you live in a coastal area, you may be lucky enough to find a large, robust plant called alexanders(Smyrnium olustratum). It’s a very aromatic plant and likes to grow by coastal paths, but you must, as with any wild food, correctly identify it. The young stems smell somewhat like celery, but are more pungent. I find the best way to use alexanders is to lightly fry them in butter with a touch of pepper. Once cooked it has a taste and texture not unlike asparagus. It’s natural to be wary of the poisonous potential of plants, but if you have identified a plant using the correct steps, you need not worry. Fear puts many people off from exploring, but once mastered, wild food becomes a way of life that can be enjoyed by everyone.